Is it okay if a pastor’s calling is to help others fulfill their calling? Or, does every church need a pastor-led vision to get behind? Is it okay if a pastor’s calling is to help others fulfill their calling? Or, without a big, hairy, audacious pastoral vision, will the people perish? I’ll come back to those questions soon. But first, this. You can’t have a great church without a great vision. That’s what I’ve been told. And you can’t have a great vision unless the pastor (always the pastor) casts a singular vision for the church, then sells that vision to the leadership and the congregation. I’ve been told that, too. So I did – or tried to do – what I was told. For years, I prayed, worked, searched the scriptures and listened to God in every way I know. I begged him for a vision that would carry our church to vast, new expanses of glorious ministry. But it never quite worked out that way. But no one else cared. And it’s not like I have a church full of heel-draggers and vision-killers. Quite the opposite. I don’t know of a church with more caring, passionate, energized, missional people than the church I’ve been blessed to pastor for almost 25 years. Yet this church, filled with great people wanting to do great things for God, didn’t jump onboard to the vision I thought God had given me. Why? Because God hadn’t given it to me. I didn’t mean to make it up, of course. But I was so desperate to cast a vision in the way I’d been taught, that I convinced myself into it. Since those early failures, I’ve learned a few things about myself, the church and how God uses us to fulfill his plans. Not every pastor is called to cast a grand, singular vision for their congregation. As it turns out, not every pastor is called to cast a grand, singular vision for their congregation. In fact, most probably aren’t. So what does a pastor do when, like me, they try desperately to catch a vision from God, only to come up short? How does a church function when there’s no meta-narrative, project-oriented vision to get behind? How about this. Do what pastors (along with apostles, prophets, evangelists and teachers) are called to do. Equip the saints to do the work of ministry (Ephesians 4:11-12). Preach, teach and live as though the priesthood of believers is a real thing. Because it is. 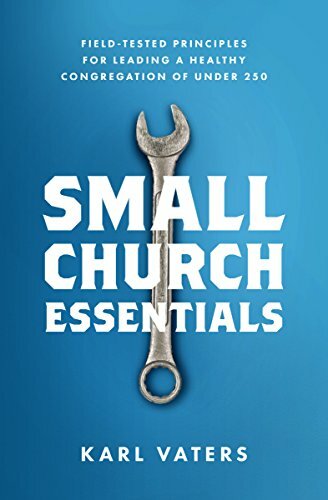 There are thousands of pastors operating under a burden similar to the one I bore for years – the burden to discover, promote and implement a unique vision for your congregation. But it’s a burden we don’t need to carry.